We tried it and they were so cute! 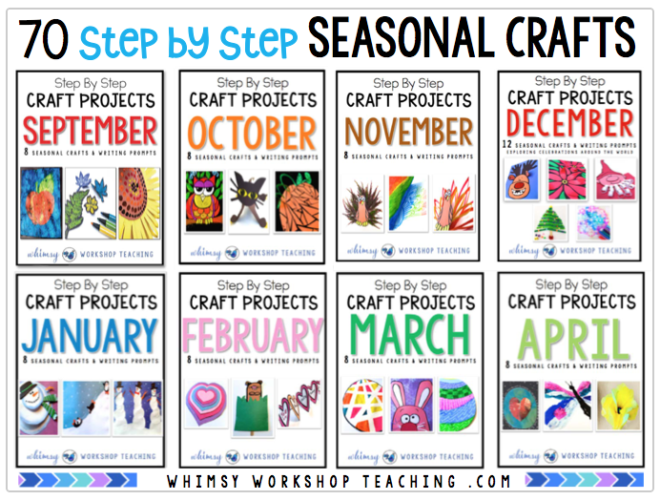 Below is our version, which made a lovely bulletin board display and would be beautiful any time of year. 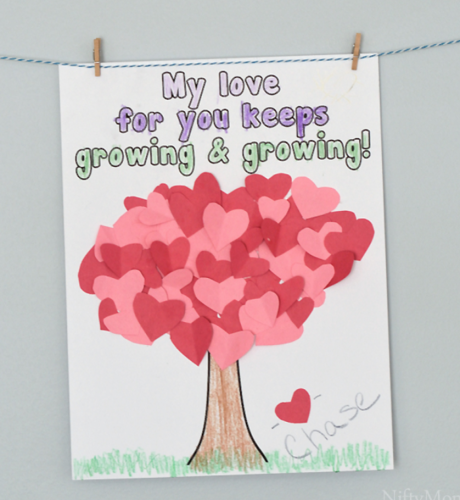 I had this one originally in my Valentine’s Day collection, but I think it works well as a Mother’s Day card too! 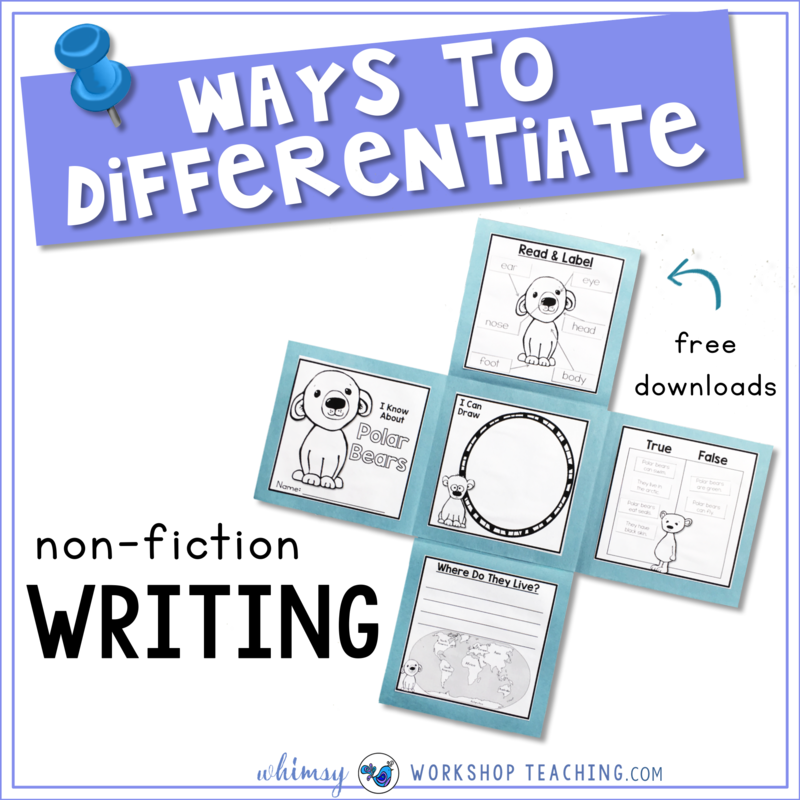 It’s perfect for younger students, especially with the tree and writing already printed out for them. 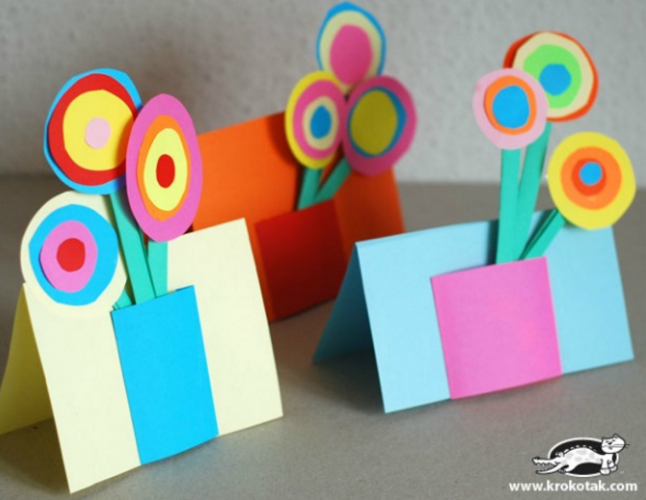 Students love to curl the paper around pencils – this is easier than it looks! Click the pictures to see the source. 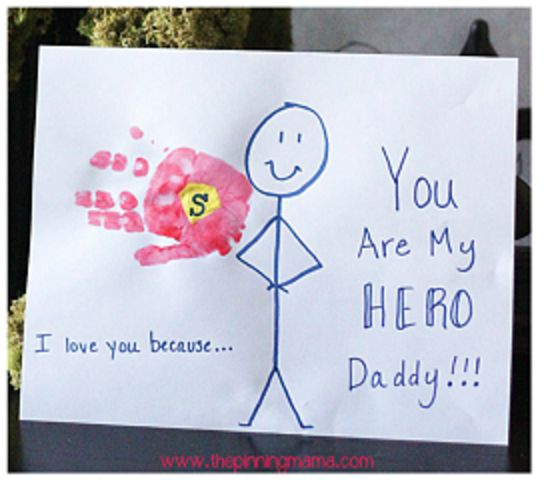 Super cute and simple idea. We something very similar with Kindergarten students many years ago and it was just right in terms of difficulty and prep. Look at the sweet little poem that goes along with it. 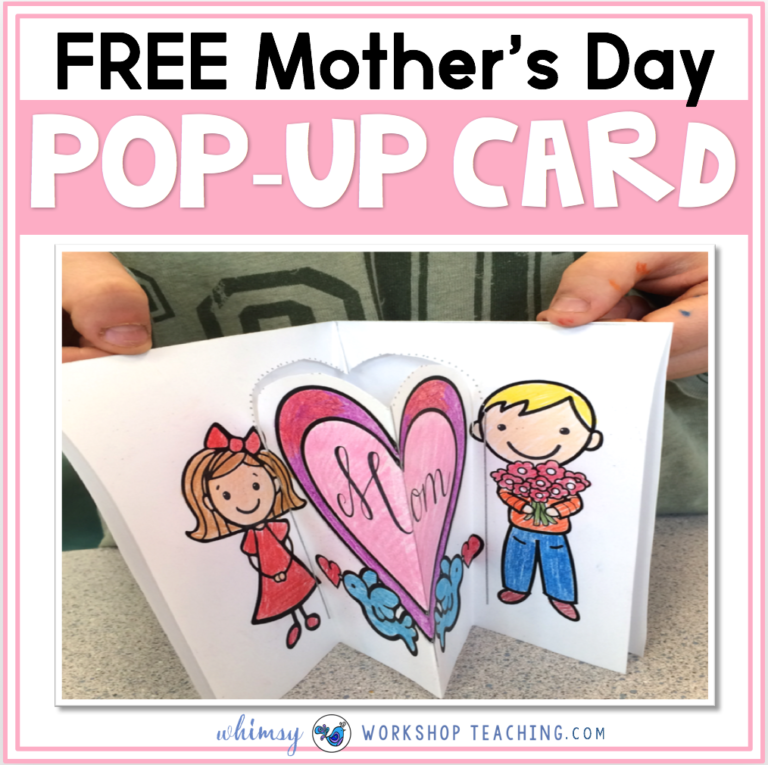 Do your students like Pop-Up cards? Have you tried it? 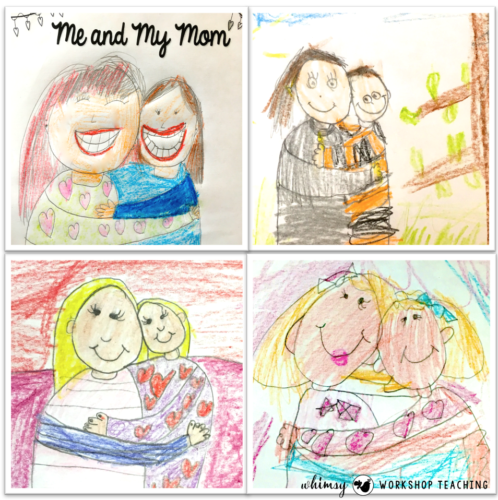 We did – and it was a huge hit! 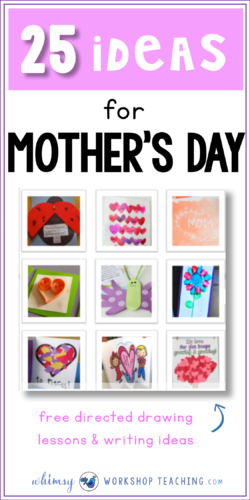 Here is a free download of the Mother’s Day cards we made. It was simple – just two folds and a small cut on the dotted line. My students thought it was MAGIC. 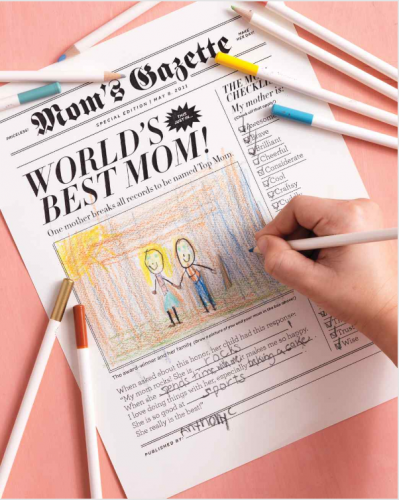 Looks like Mom made the front page of the newspaper! 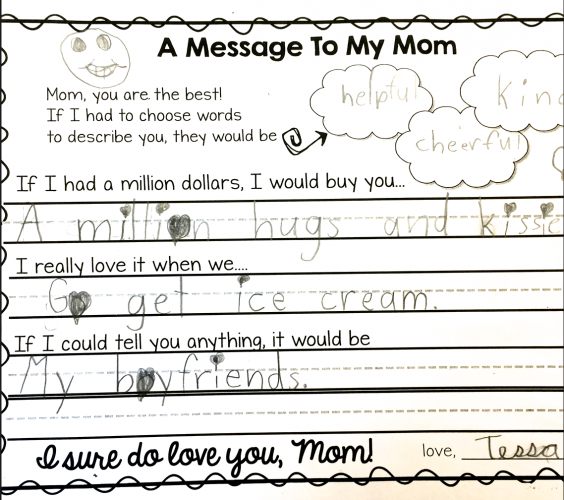 Kids love filling this out for Mom. When we tried this one a few years ago, it was lovely, but definitely didn’t look this perfect! 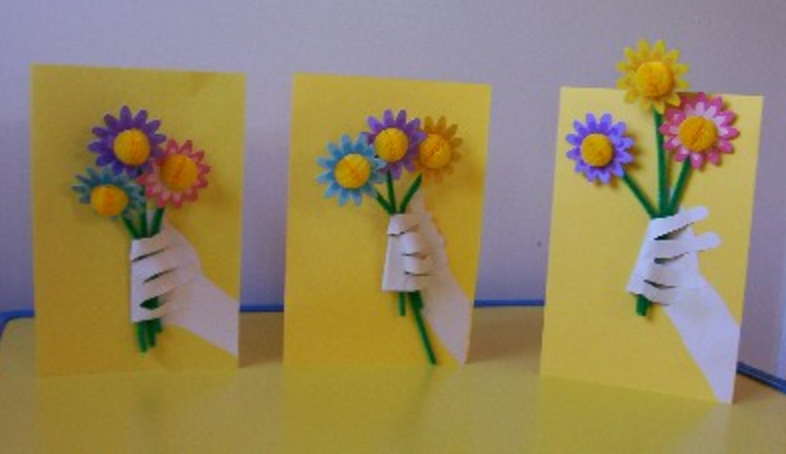 Students traced their hands, cut them out themselves, and did all their own printing. I’m pretty sure some of them were missing fingers! But it was cute, and the parents didn’t seem to mind. If you’ve got a good sense of humor, these are really funny. The parents from my class got a huge kick out of the answers the students came up with. 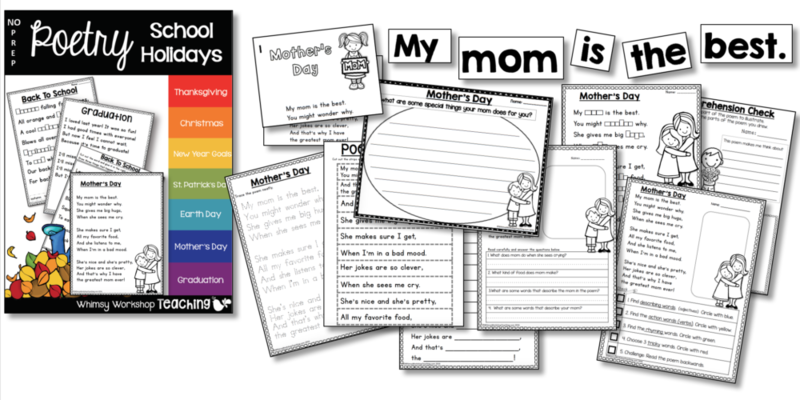 These templates are a free download HERE. 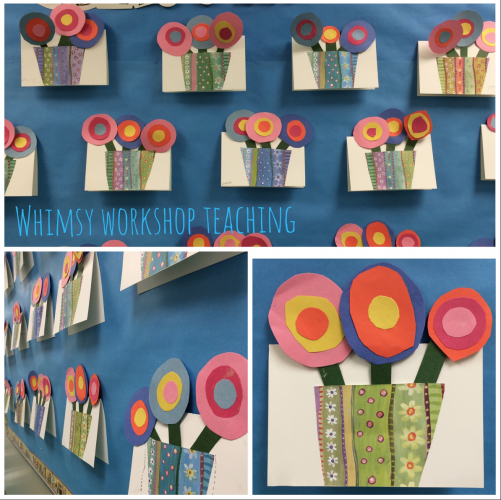 We used paper for the stems and made our own flowers, so it didn’t look quite so fancy! 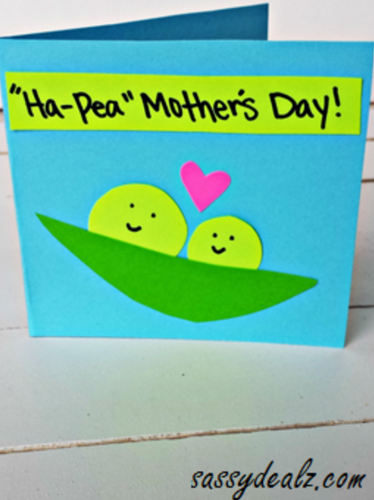 But the idea was so cute, and moms loved it. 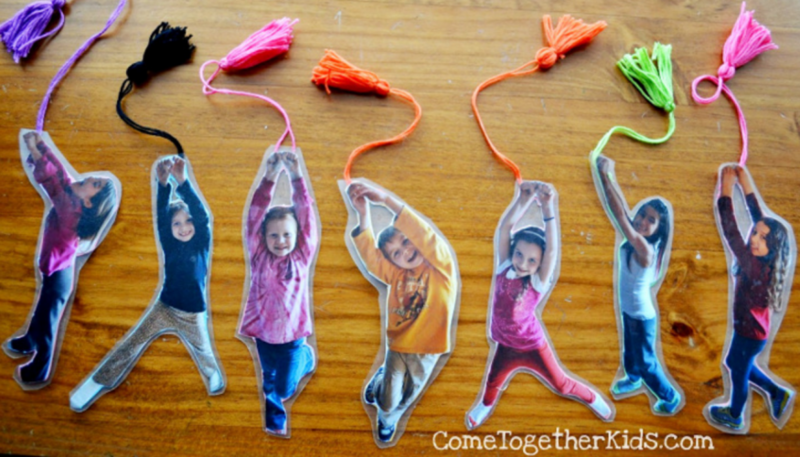 When we made this kind of bookmark, we didn’t cut out the shape of the bodies, but left it on a rectangular paper. 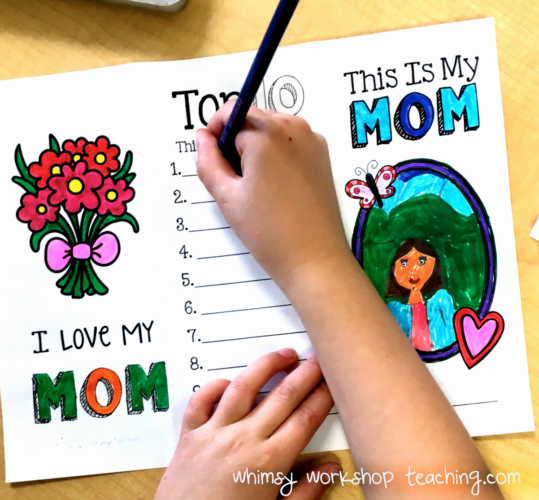 This allowed students to do some writing on the back to make them more involved in making the present. 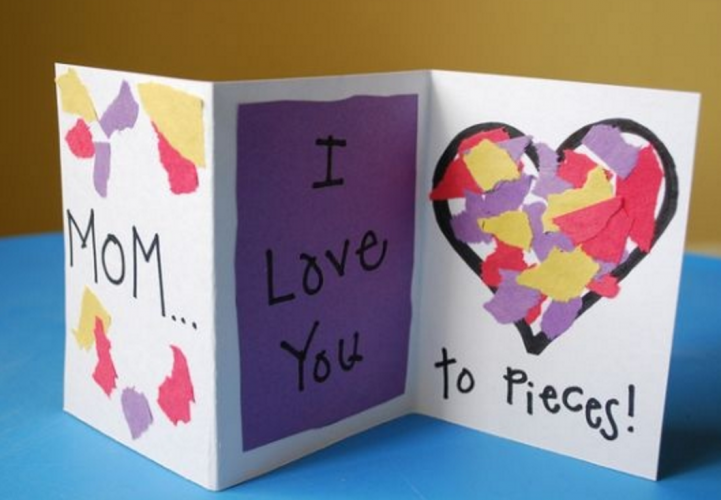 Either way, parents love it and it’s nice to give them something so practical too! So adorable! So cute and simple! Love the little poem at the bottom. Love this one! Just draw with white crayon and paint over top. 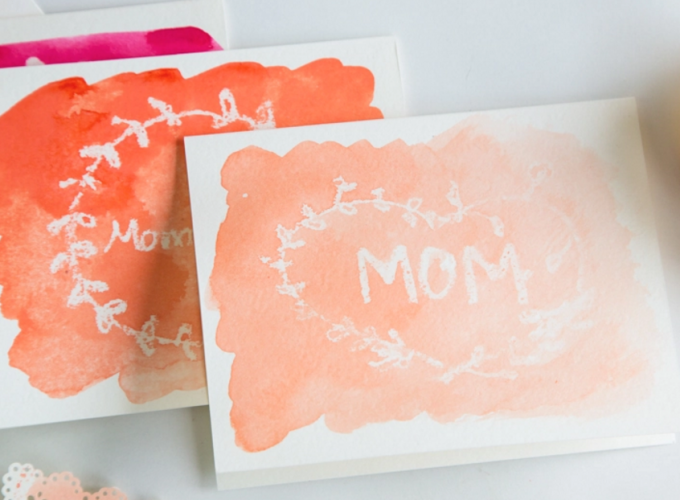 Use thick paper or watercolor paper if you have it. This is a nice one for older students. 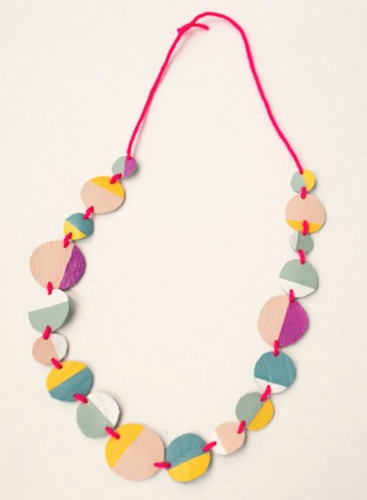 What about a simple necklace for Mom? I’ve done this one many times, and I’ve spent a little extra for some pretty glass beads (or even charms) from Michael’s craft store. I’ve also used Borax to grow crystals over pipe cleaners, which is then attached to a chain. With younger students, we make it a bracelet using stretchy string, and even invite our big buddies (grade 5) to help us make them. It’s nice to see Mom’s wearing them the next day! 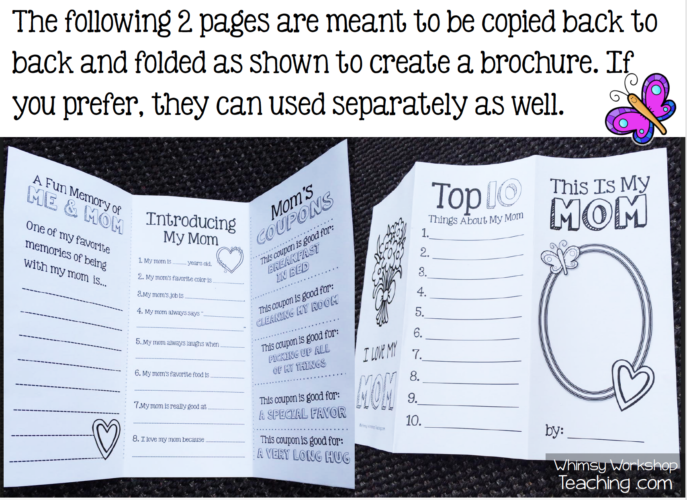 This one is a favorite of mine to do with students Grade 2 and higher. It’s just ordinary watercolor paints, but students need to have to control to work with watery brushes. 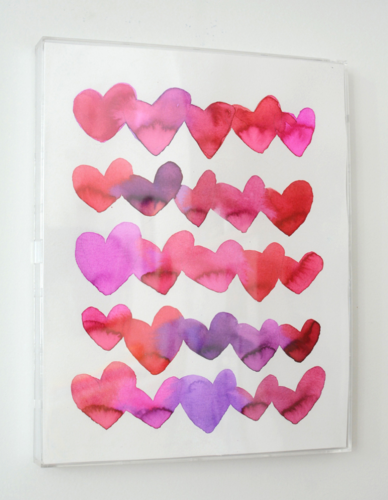 It’s so simple in that they just keep painting hearts, but I think it would make a stunning framed picture. I would highly recommend thick paper, or even watercolor paper for this one. 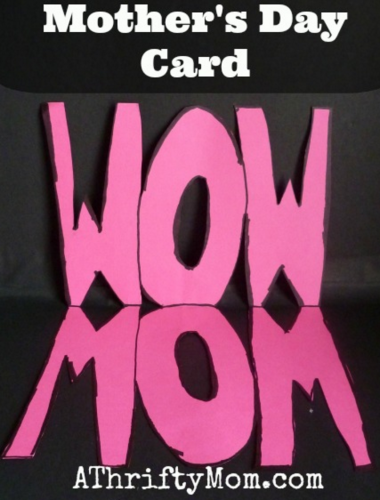 We’ve done similar cards to this, and every time students flip up the card to see that MOM upside down spells WOW – it kinda blows their minds. I like to let them discover this on their own and the news of this discovery spreads through the classroom with much excitement! However, I made this with younger students and we decided not to cut out the middle of the “O”, but just color it in since that cutting was tricky. 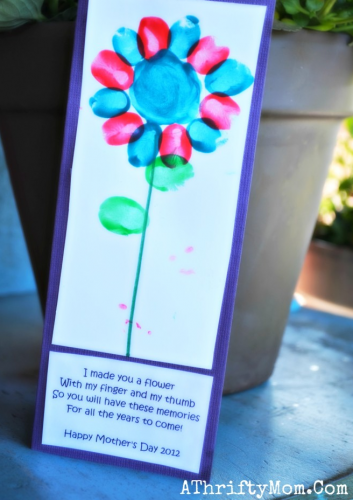 These cute flower bookmarks are adorable, and although I have not tested these ones, it reminded me that one year we made something similar. 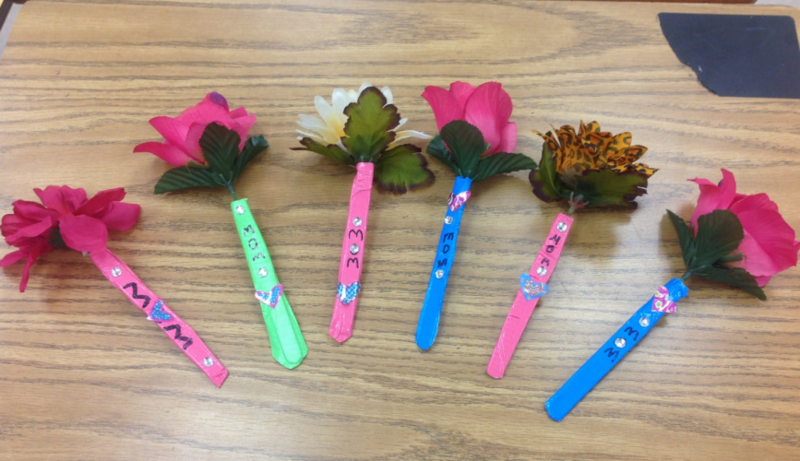 Rather than attaching the flowers to a popsicle stick, we attached them to a pen. 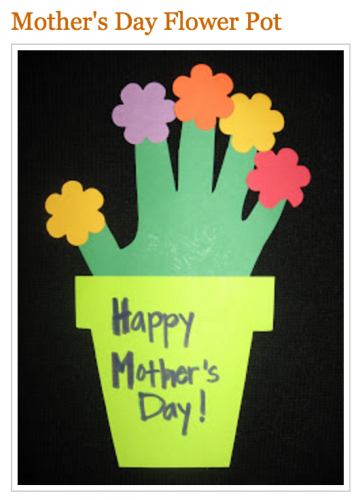 I got the idea from our school secretary who has several “flower pens” in a mason jar by her desk. This is because people kept walking off with her pens, and this way she would know right away if the pen was hers! 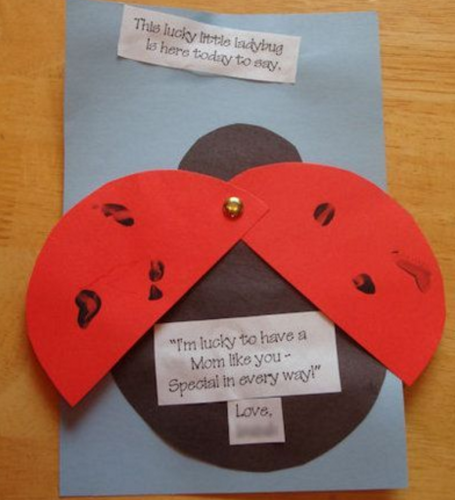 Here’s a ladybug with a cute poem to match. 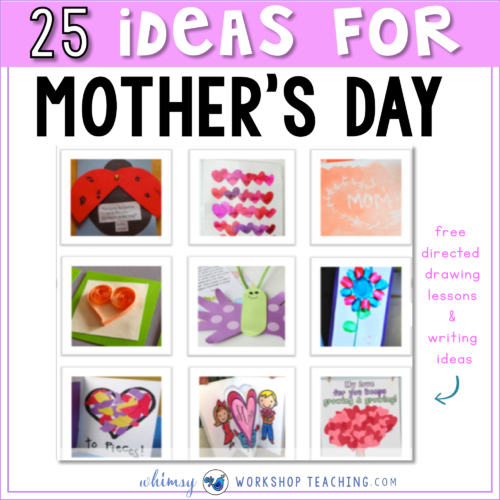 For Dad, But Mom would like it, too! 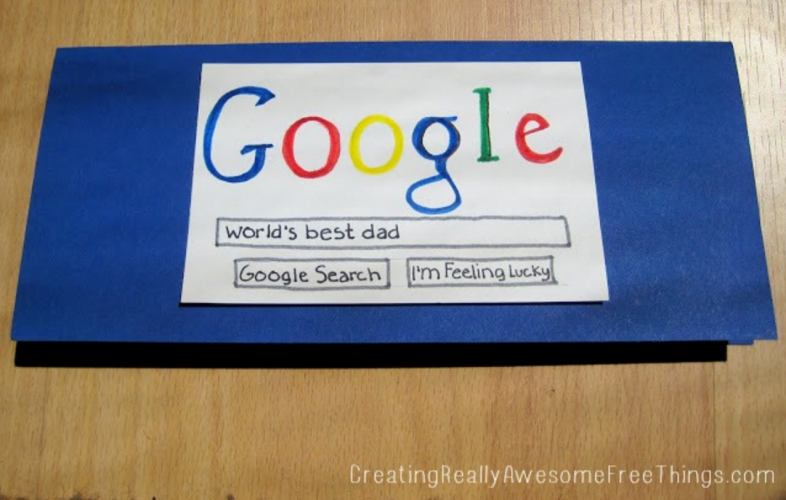 And here’s are a few more ideas to tuck away for DAD…. although I think MOM can be a super-hero as well! Try this fun and FREE download! Click the link below. 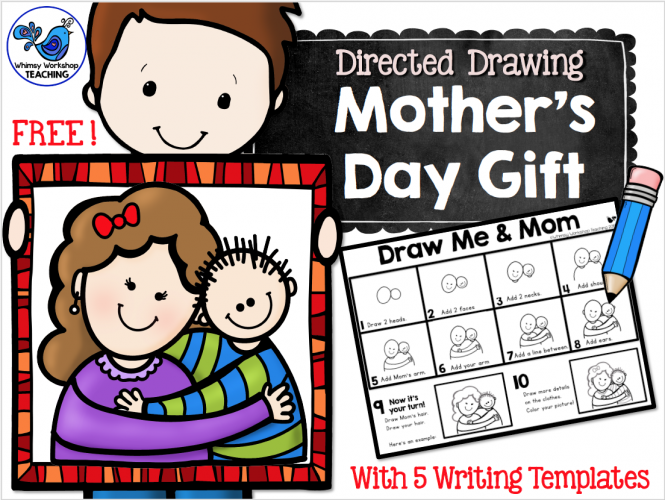 This is a directed drawing for Mother’s Day AND Father’s Day – both FREE – with a bunch of differentiated writing prompts to use as well. Here are the results from our class. Our moms just LOVED them! So many of them commented to me that they’ll treasure the pictures forever. We glued the writing on the back and laminated them. 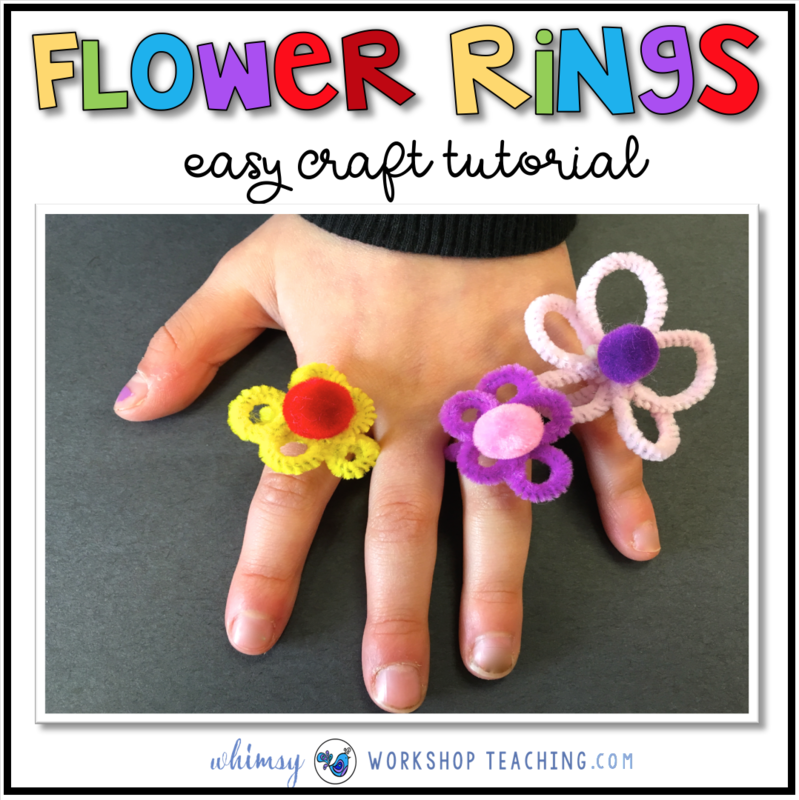 Click below to try it with your class! 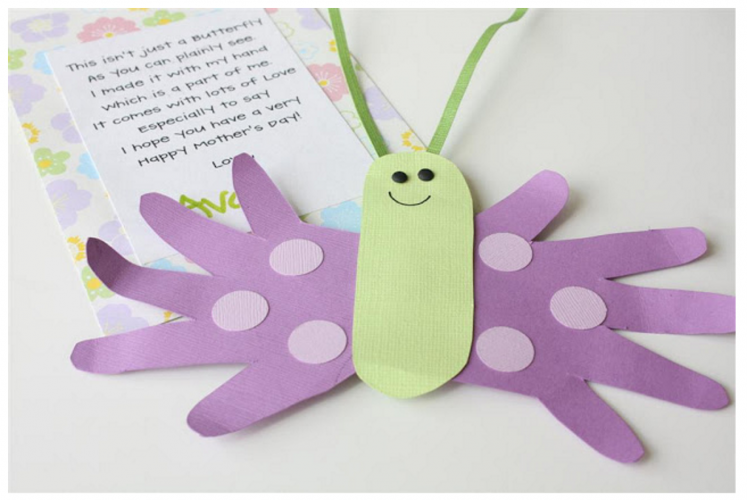 What are your favorite Mother’s Day crafts? 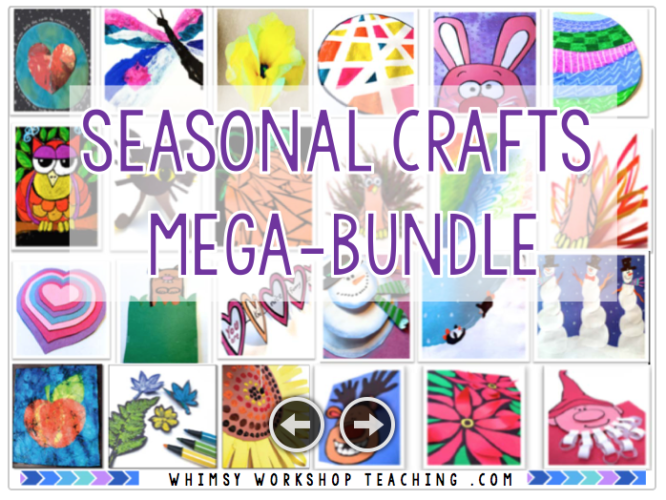 If you need more seasonal art ideas, take a peek at this set that has 8 art projects for each month! 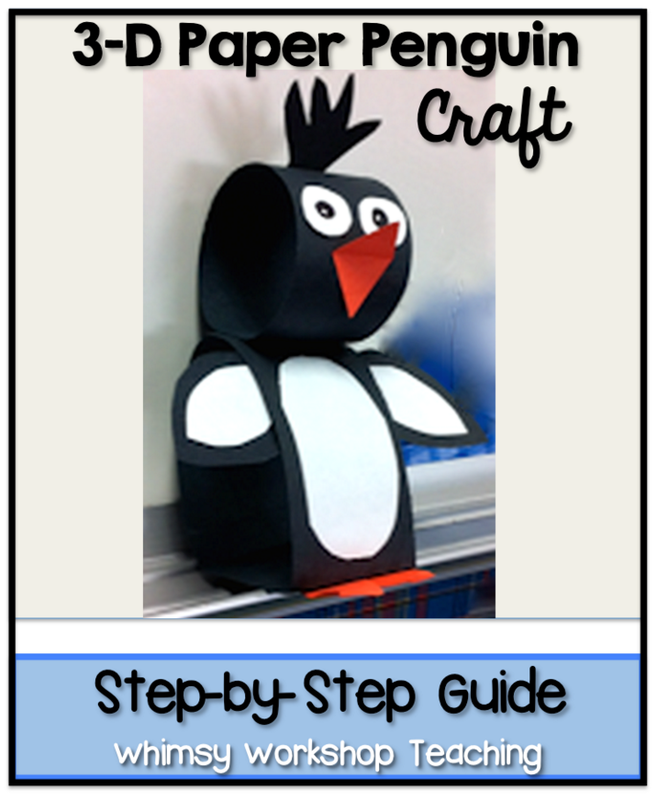 It includes step by step photo tutorials. 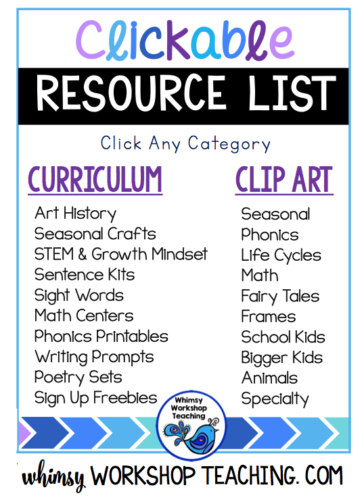 Click to download this clickable resource list for your files! I work with children who have moderate to severe handicapping conditions. 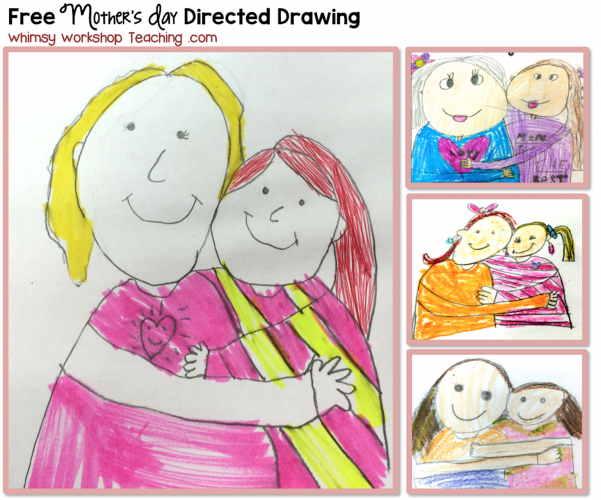 Do you have the mothers day brochure for fathers? Great idea Amelia! 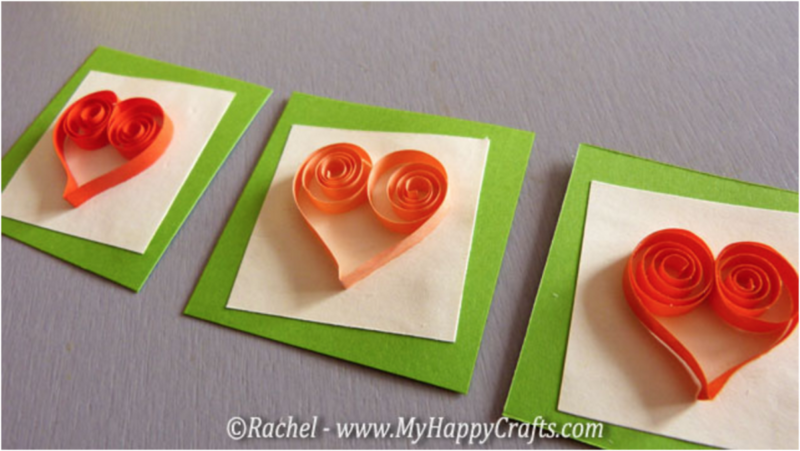 If I have time to make one I will post it on this page or as part of my weekly mailing list. Thanks!